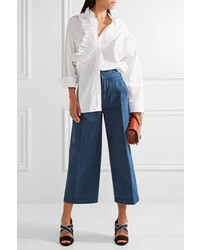 If you're on the lookout for a casual yet chic outfit, try teaming a white sleeveless top with Marni cropped denim wide leg pants blue from NET-A-PORTER.COM. These two pieces are very comfy and look stunning when paired together. Add beige leather wedge sandals to your look for an instant style upgrade. If you're after a casual yet totaly chic outfit, consider teaming a purple fur jacket with Marni cropped denim wide leg pants blue. Both of these garments are very comfy and they will also look great paired together. Kick up the cool of your outfit by wearing brown leather ankle boots. 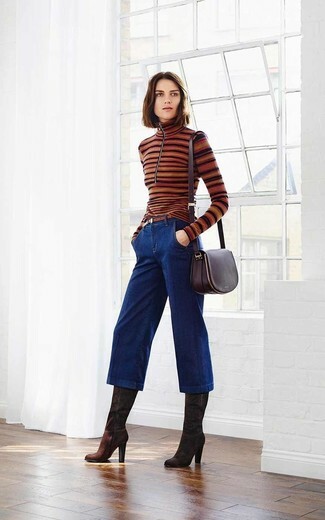 If you're on the hunt for a casual yet seriously stylish getup, choose a brown horizontal striped turtleneck and Marni cropped denim wide leg pants blue from NET-A-PORTER.COM. 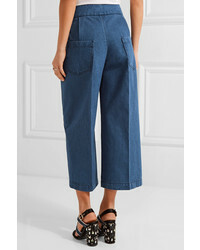 Both of these items are totally comfy and they will also look great together. For the maximum chicness go for a pair of dark brown suede knee high boots. 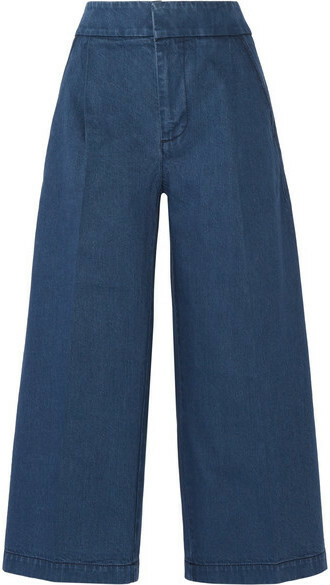 If you're searching for a casual yet totaly stylish ensemble, reach for a brown coat and Marni cropped denim wide leg pants blue. 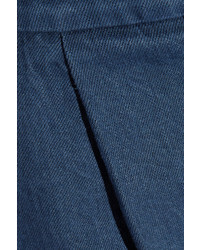 As well as very comfortable, these two garments look great when paired together. You could perhaps get a little creative when it comes to footwear and dress up your outfit with black and tan leather pumps.